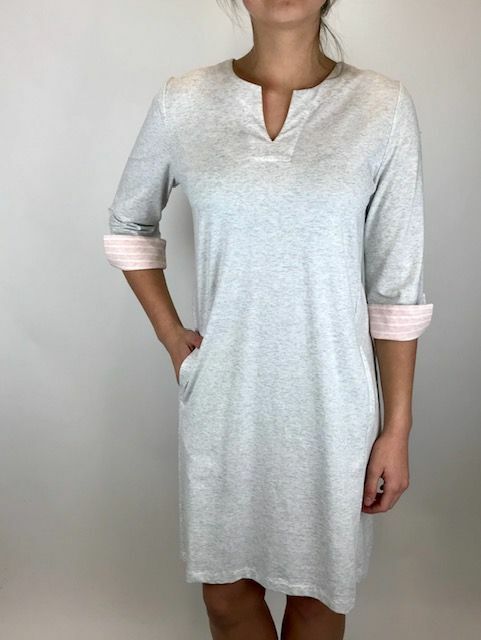 An easy knit dress with a light heathered grey color and slit v neck. 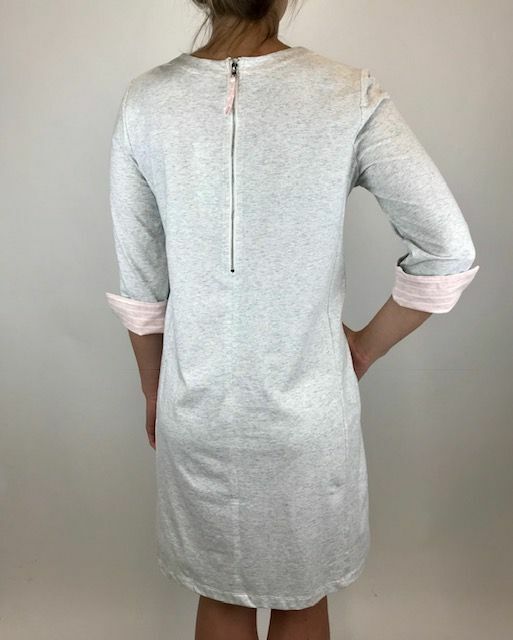 Has a 3/4 sleeve and front pocket detail. Also zips up the back for closure.